Have you ever stained your clothes? While you’re going about your everyday life, your clothes can be the recipients of stains from your job, your lunch or anything else you contact. Usually, you can just throw your clothes in the wash, but greasy, oily stains may require more care to remove. 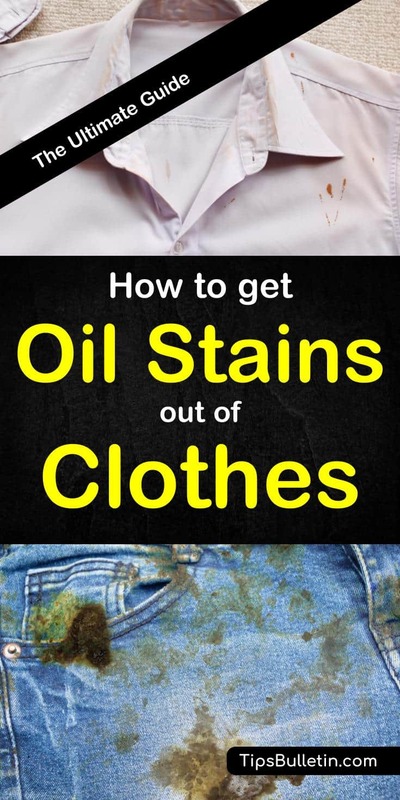 Here’s how to get oil out of clothes. When you drop something oily or greasy on your clothing, the sooner you get it out, the better. The first thing to do is to remove as much of the substance as possible by blotting at the grease. You can use a paper towel or tissue, just make sure you blot the stain rather than rub, as that can rub it into the fabric permanently. Don’t immediately throw your clothes in the washing machine. While modern washing machines are great for removing stains on their own, it can’t hurt to do some pre-treating to make sure the stain comes out. Read the instructions. Pre-treating products are great for getting out stains, but they may not work with the fabric of your clothing. For example, the instructions may say to spray it on the stain and then wash in hot water, when your garment may be cold wash only. If you do immediately put your item in the washing machine, do not dry it until you are sure the stain is gone. The heat from the dryer will set the stain in so it is next to impossible to remove. Looking to get rid of stains using ingredients you already have around the house? Save yourself a trip to the store by looking around the house for these common stain removal ingredients. Hot water is best for removing oily stains. Apply a stain remover then rinse in hot water before laundering. Dish soap is a stain remover that works well on bacon grease, food grease, lipstick, tomato stains, and vegetable oil. Once you’ve rinsed the garment with hot water, apply dish soap and rub in with a toothbrush. Rinse again in hot water. Along with dish soap, you can also try using shampoo, bar soap or a bar of laundry soap, rubbing the bar into the stain. Shampoo works because it strips oil from hair. You can also attempt to blot the stain using cornstarch or baby powder. Sprinkle over the stain and let sit for about half an hour to an hour before scraping off with a spoon and using the dish soap method. Just remember not to dry it without ensuring the stain is gone. For a persistent stain, you can try lighter fluid or WD-40. Apply to the stain, let sit for twenty minutes, then rinse in warm water before putting in the washing machine by itself. Hairspray can also help with oily stains. Spray onto the stain then wash as per usual. On related hard to clean stains, check out our tips on how to get chocolate out of clothes and how to get coffee stains out of clothes. 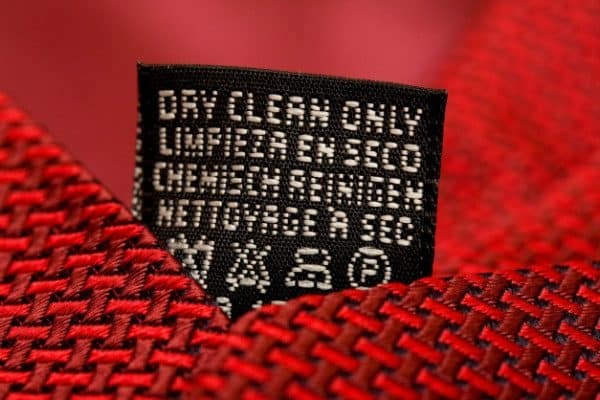 Check the symbols on your clothing tags to find out how to clean them. Make sure you separate laundry properly and sort delicate clothes out first. Some items of clothing are cold-wash only while others are dry clean only. Some clothing requires the washing machine temperature to not go above 80 degrees; others can handle temperatures of up to 200. Delicate pieces of laundry like a baseball cap, microfiber, comforter or baby clothes need even more care when washing. A lot of people don’t wash any clothing in hot water, as it is not energy efficient and it can damage or shrink clothes, or make some colors run. It can also set in certain stains like coffee or wine. If you’re unable to wash your clothing in hot water, use one of the stain removal methods above and rinse in hot water before washing as usual in the warmest water the garment will allow. If your garment is dry clean only, there is still hope for oily stains. Blot up as much grease as possible from the stain with a clean cloth then sprinkle cornstarch or baby powder to soak up the rest. Take it to the dry cleaner as soon as possible and be sure to point out the stain. Oil stains on a wool sweater require a bit more work to remove. You can start by applying cornstarch to see if that removes the stain, but if it doesn’t, there are further steps to take. Take a large sheet of paper and trace around the shape of the sweater. Wool can get misshapen and shrink if it gets wet. Fill a tub with water and add a little bit of dish soap. Soak the sweater for up to five minutes, careful not to twist it up. Refill the tub with clean water and rinse the sweater gently. Make sure all soap is out of the sweater. Roll the sweater up in a towel gently to squeeze out the water. Lay it out on the paper with the traced marks, reshaping the sweater to the correct size and shape as it dries. Unless you work in a very oily industry, food is where most of your greasy stains will originate. Here are ways to remove stains from some common foods. 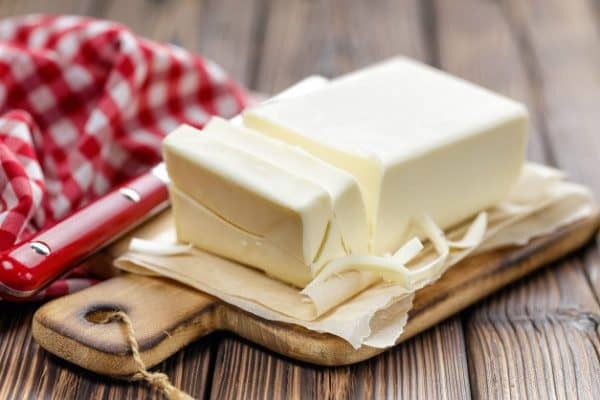 Though it’s usually solid, butter can end up on your clothes and leave a stain due to its greasy properties. Start by scraping off the solid butter from your clothes with a butter knife or credit card. Blot up any excess butter liquid. Treat the stain with a stain remover or use any of the methods above before washing the garment. If the stain persists through one wash, lay the stained side of the clothing down and pour liquid laundry detergent through the back. Let that soak in for a little while before washing again. 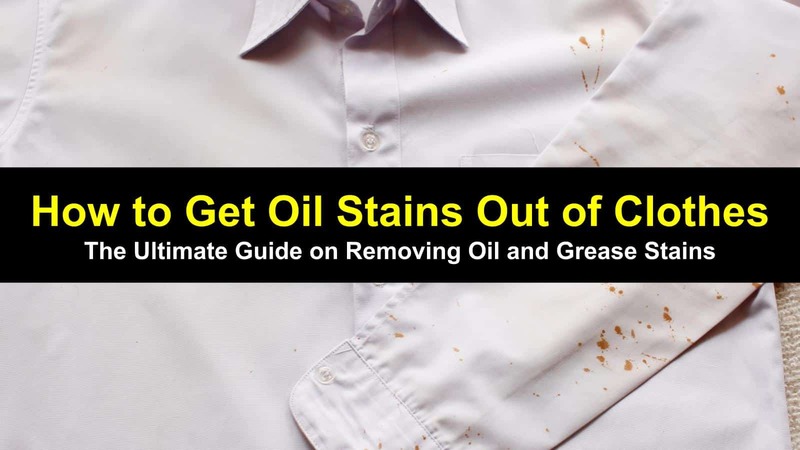 Have a grease stain on your shirt or an olive oil stain on your pants? As with other stains, quick treatment is vital. Start by blotting any excess oil with a paper towel or clean cloth. 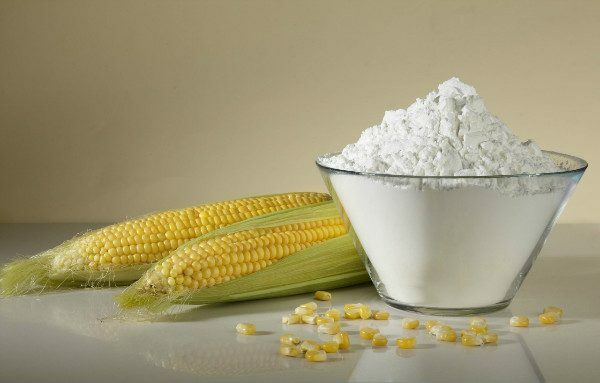 Then, sprinkle baking soda, talcum powder or cornstarch on the spot and let sit for an hour. Use a toothbrush to rub it in. Next, cover the spot in dish soap, enough for a layer on top of the stain and bake soda, then throw the garment in the washing machine. Repeat until the stain is gone. For cotton fabrics and some synthetic fibers that are hardy enough to stand up to most cleaners, you can try using rubbing alcohol or acetone (nail polish remover is perfect for this) to remove oil stains or any stains from oil-based products such as lipstick stains. You will want to put the alcohol or acetone onto a cloth and blot the back of the stain rather than the front. Blotting the front can just push the oil deeper into the fabric, making it that much harder to remove. Remember acetone is harsher than alcohol. So, for older or more worn garments, even cotton, you may still want to stick to the rubbing alcohol. Likewise, if you aren’t sure of the sturdiness of the synthetics, use alcohol over acetone. It’s a little trickier to get oil out of delicate fabrics, but it is possible. You just need to be careful. Sprinkling fresh baking soda on the stain will help draw out the oil. The baking soda will absorb it. Leave the powder overnight to absorb all the oil. Then, brush or gently shake it off in the morning. You should be able to wash the clothes as normal after that. If you’re concerned about your delicate fabrics, however, (and with dry clean only items) taking them to the cleaners is usually your best bet. 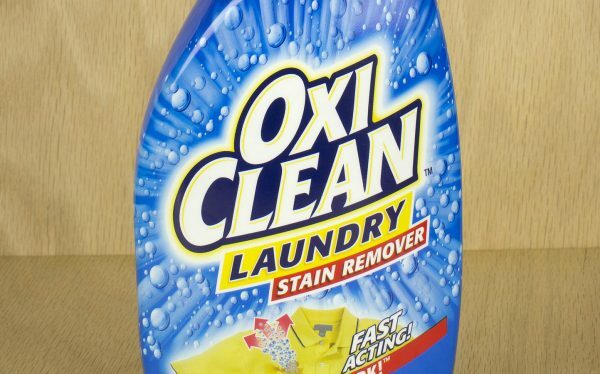 Regardless of what caused the stain or what piece of clothing it is in, you can almost always remove oil stains as long as the item has not been washed and dried. Getting an oil stain on your clothes can be a drag, but luckily there are remedies. 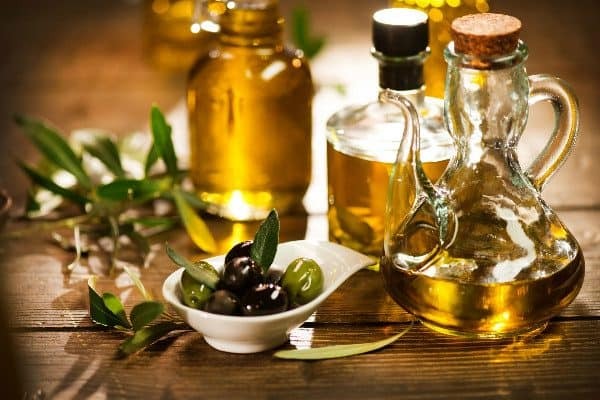 In this article, you learned how to get oil out of clothes, from cooking oils to butter. 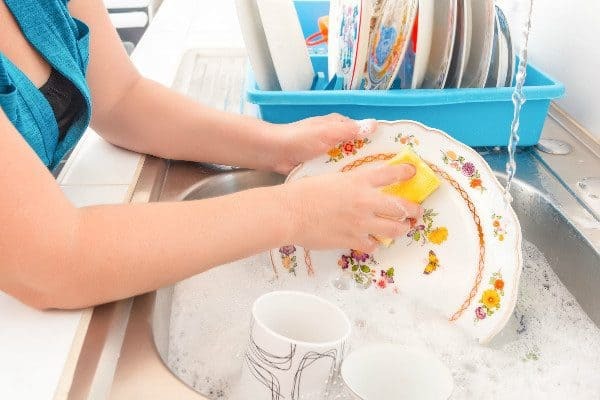 You got a couple of tips on how to use household ingredients to keep your clothes stain free, and you also got a few recommendations on what commercial cleaners to keep around the house in case of an oil-related accident. Have a friend that seems prone to oil spills? Use the buttons below to share to Facebook, Twitter, and Pinterest.